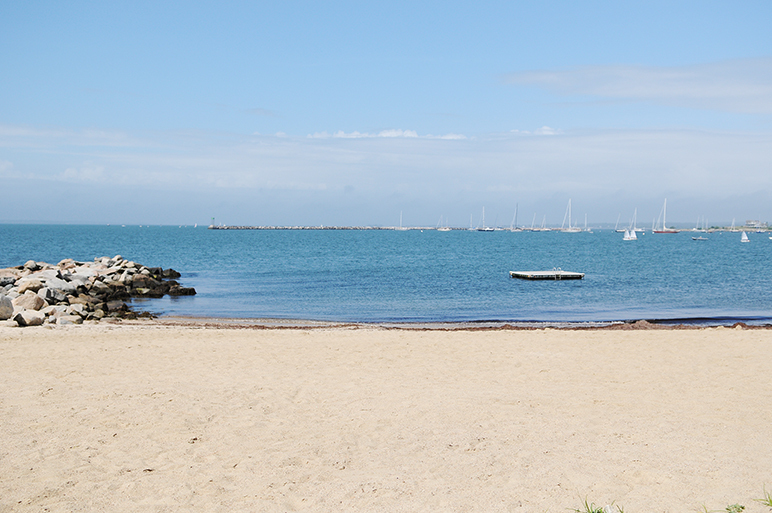 With a gentle surf, a shaded gazebo, an anchored dock and jetties for crabbing, it's easy to understand how duBois Beach made Boston Globe's top 20 best beaches to visit in New England. It's located at the southernmost tip of Water Street at Stonington Point, where you'll enjoy a magnificent view of Stonington Harbor, Fisher's Island Sound and Little Narragansett Bay. duBois Beach opens for weekends beginning Memorial Day weekend with lifeguards on duty from 10 am to 4 pm. The beach is open full-time — Monday through Sunday, 10 am to 4 pm — June 22 through Labor Day weekend. duBois Beach is reserved for residents of the Borough and Stonington Community Center (COMO) members who purchase individual adult or family season passes. Children 18 and under access the beach for free. COMO members receive a $25 discount. For beach membership information or to purchase duBois season passes, please visit the COMO. The general public may purchase daily passes for $10 per person through the beach gatekeeper upon arrival. Parking is free of charge in the public lot adjacent to the beach. duBois beach is owned by the Stonington Village Improvement Association (SVIA) and operated by the Stonington Community Center (COMO). The SVIA and COMO are local nonprofits with a long history of serving the community. Their partnership ensures the necessary amenities for a safe and enjoyable beach experience. Fees support beach maintenance, operations, facilities, supplies, and lifesaving equipment.